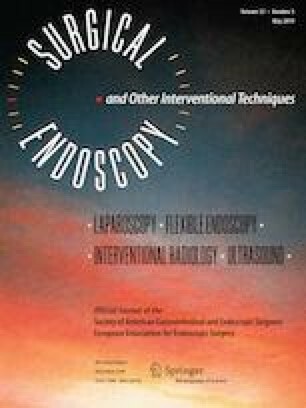 Endoscopic submucosal dissection (ESD) has become the primary option for the treatment of early gastric cancer (EGC). Thus, it is necessary to diagnose whether residual cancer cells exist in the ESD specimen margins, which can affect tumor recurrence and survival rates in the future. Multiphoton microscopy (MPM) can be suitably used for nondestructive imaging of biological tissue on a cellular level to enable real-time guidance during endoscopic therapy. Considering this, the objective of this study is to explore the practicality of MPM for the diagnosis of ESD specimen margins in the case of EGC. First, a total of 20 surgical samples was imaged using the proposed MPM technique to obtain two-photo excited fluorescence signal from the intrinsic fluorescent substances within cells and second-harmonic generation signal from collagen; these signals were used to determine MPM pathological features for margin diagnosis. Then, a double-blind study of 50 samples was conducted to evaluate the diagnosis results based on the obtained MPM pathological features. Multiphoton microscopy can accurately identify the cytological and morphological differences between tissue in the negative and positive margin. The sensitivity, specificity, accuracy, negative predictive, and positive predictive values of MPM in the diagnosis of ESD specimen margins were 97.62, 75.00, 94.00, 95.35, and 85.71%, respectively. These results indicate that MPM can be used as an effective, real-time, and label-free novel method to determine intraoperative resection margins. Xiaoling Zheng and Ning Zuo contributed equally to this work. This project was supported by the National Natural Science Foundation of China (81771881), the National Key Basic Research Program of China (2015CB352006), the Program for Changjiang Scholars and Innovative Research Team in University (IRT_15R10), the Natural Science Foundation of Fujian Province (2018J07004, 2016J01433, 2018J01170, and 2018J01784), the Special Funds of the Central Government Guiding Local Science and Technology Development (2017L3009), the Science and Technology Planning Project of Guangdong Province (2016A020220014), and the Fujian Provincial Youth Top-notch Talent Support Program. Xiaoling Zheng, Ning Zou, Hongxin Lin, Liqin Zheng, Ming Ni, Guizhu Wu, Jianxin Chen, and Shuangmu Zhuo, have no conflicts of interest or financial ties to disclose.